Things are stirring in the quiet town of Corowa – tucked away on the southern border of New South Wales. 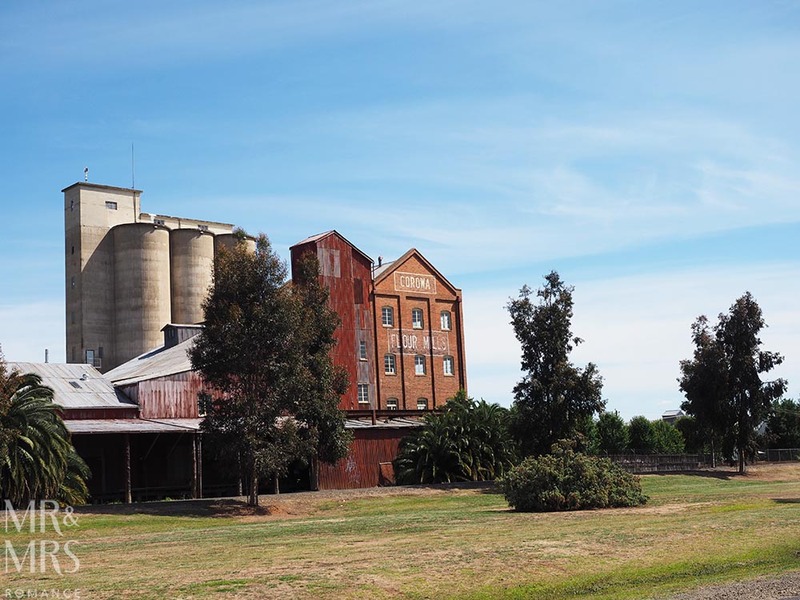 The old abandoned flour mill near the banks of the Murray River is coming back to life. 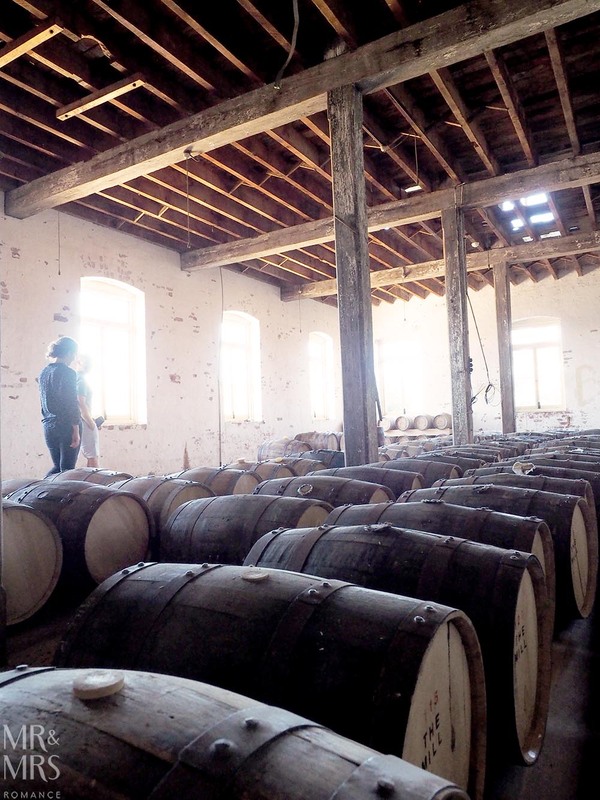 And with it comes the promise of beautiful Australian whisky! It sounds like that start of a joke, doesn’t it? 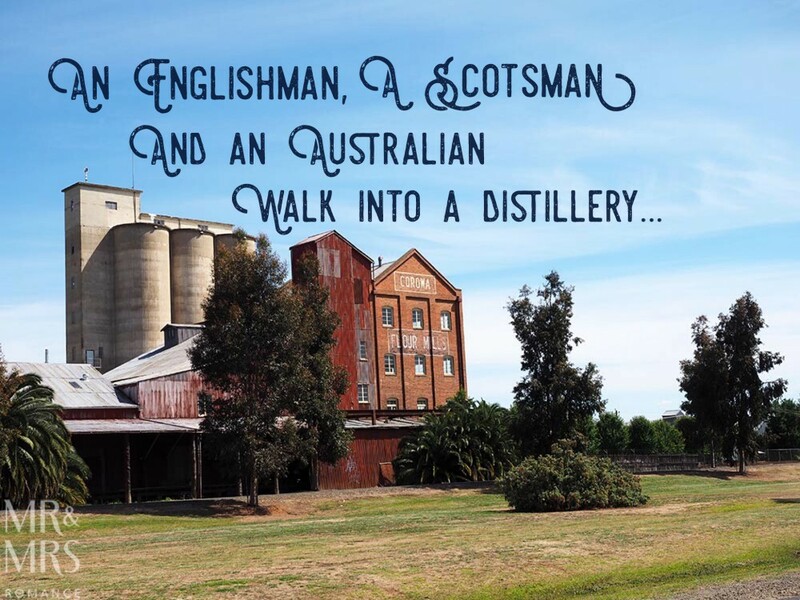 But an Englishman, a Scotsman and an Australian really did walk into a distillery. 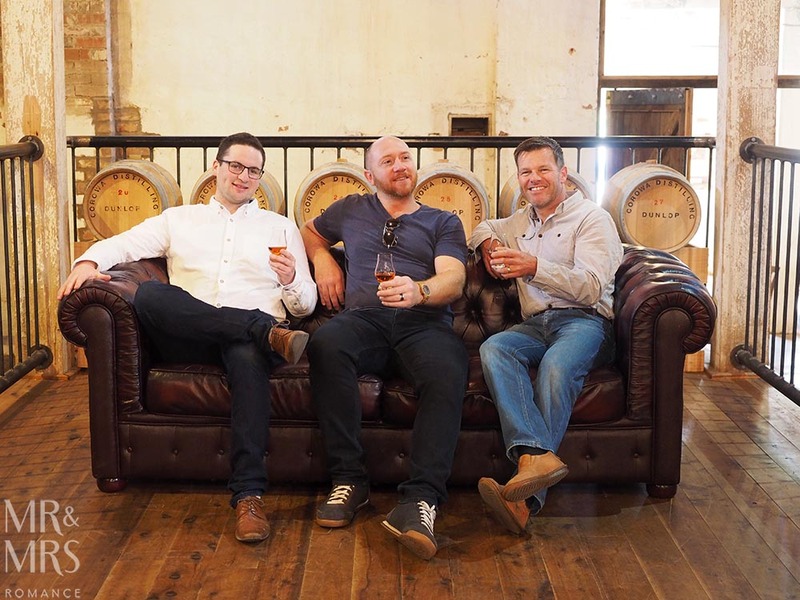 The Englishman was me, the Scotsman was Ian Glen – owner-distiller of Stone Pine Distillery, and the Australian was distiller Josh Walker from Timboon Railway Shed Distillery. 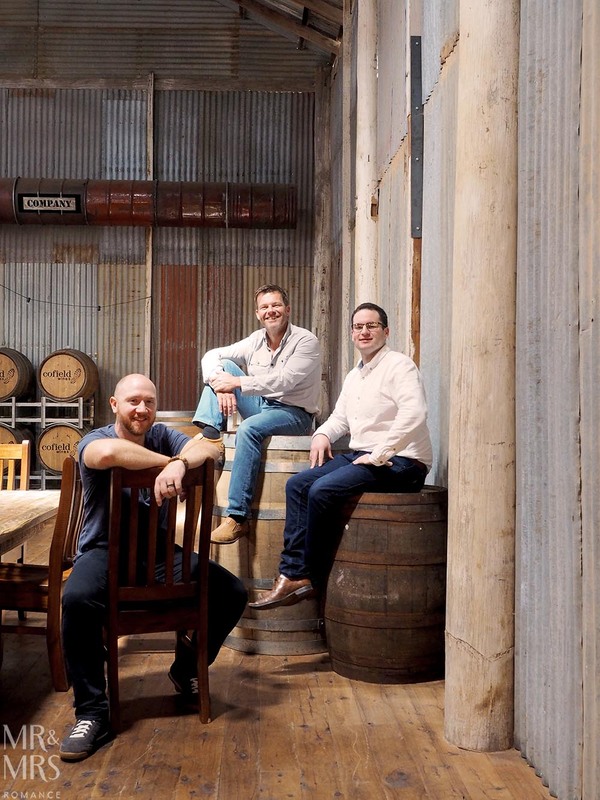 We’d come to Corowa Distilling Company’s pre-launch party to meet with like-minded whisky lovers, fellow industry types and local luminaries, and to explore this magnificent new distillery. When I told Ian and Josh about the title idea for this story, they were both a bit worried. “In those Englishman, Scotsman and Australian jokes, doesn’t the Scot usually cop it?” Ian asked. “Don’t worry,” I assured him. “It’s just a title. I don’t have a punchline. 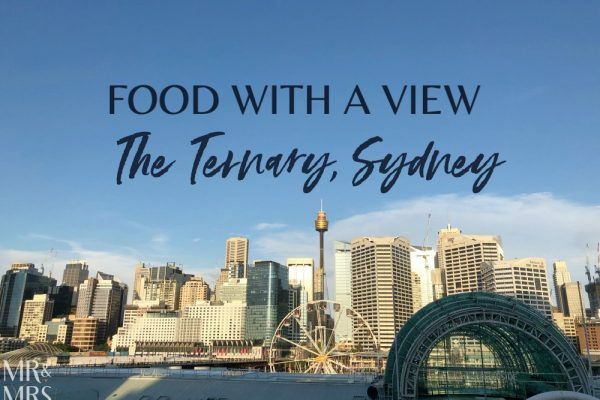 And it’s usually the Aussie anyway,” I added, out of Josh’s earshot. But more about Ian, Josh and the rest of my joke in a moment. 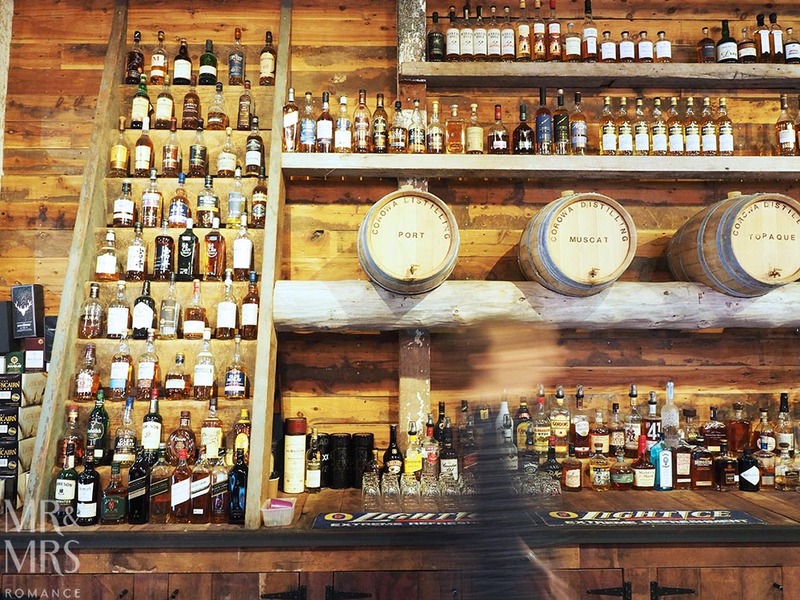 The history behind this border town and its new distillery is fascinating. Corowa was confirmed as a settlement in 1858 and grew quickly thanks to its proximity to the Murray River, an important cargo transport system at the time. 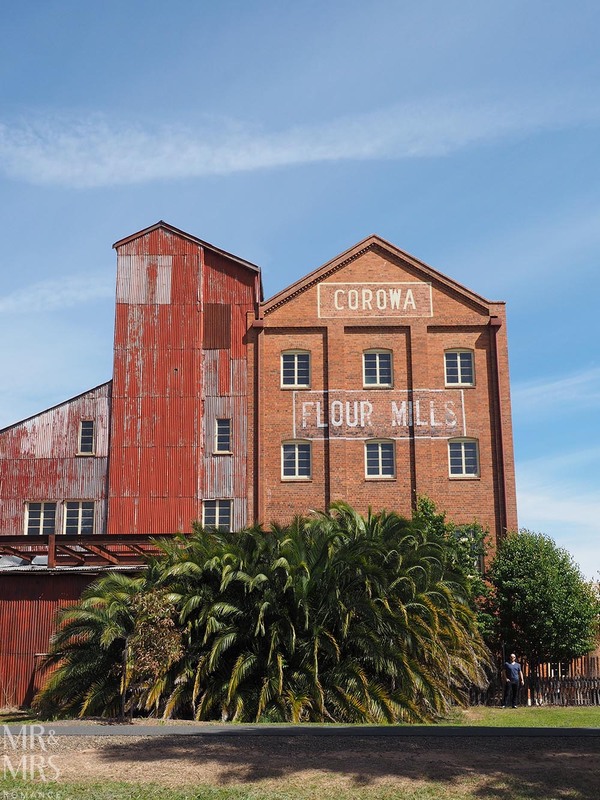 Only 600m from the banks of the Murray, the Corowa Flour Mills building was a keystone of the town’s success. Eventually the river gave way to road transport and the flourmill stood empty and quiet, and eventually fell into dereliction. 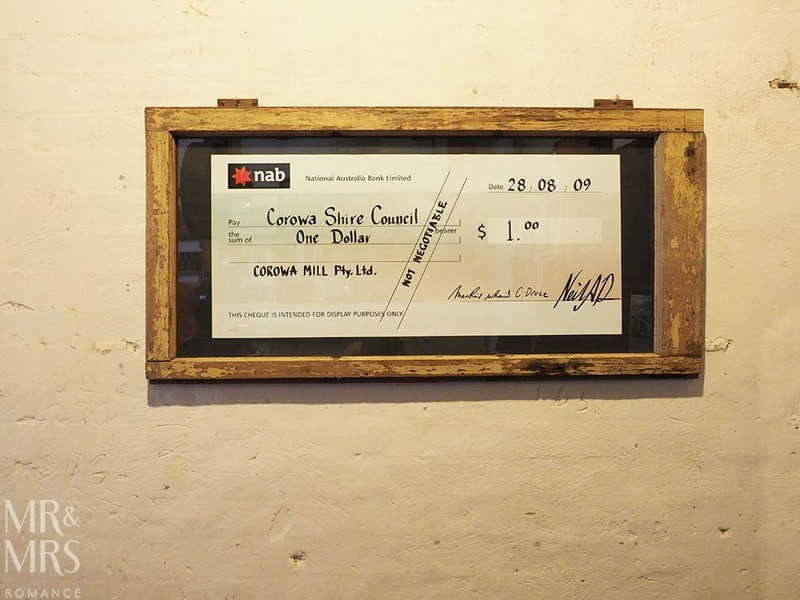 The building was in a very sad state when Corowa Distilling Co bought it from the local council for the princely sum of $1. 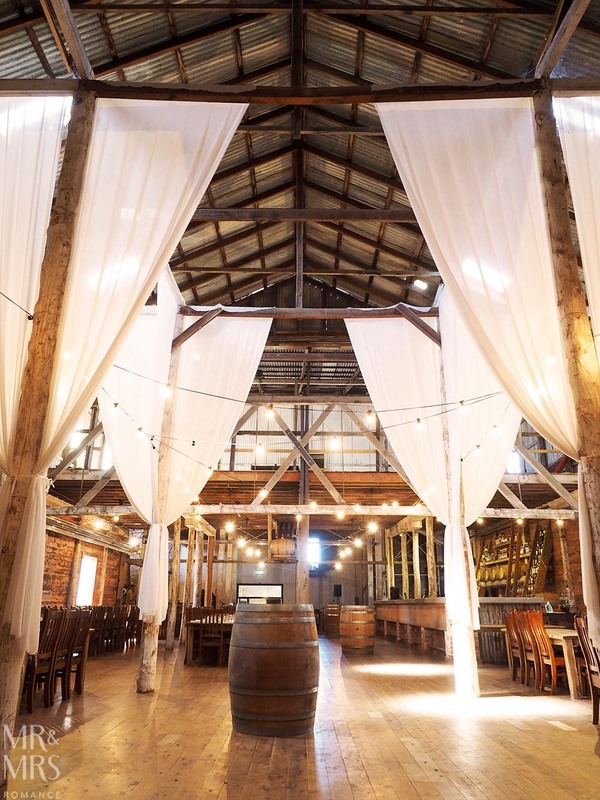 The idea of buying the old flour mill in Corowa stemmed from Dean’s family business. The Junee Licorice and Chocolate Factory near Wagga Wagga, NSW is also in a restored flour mill. 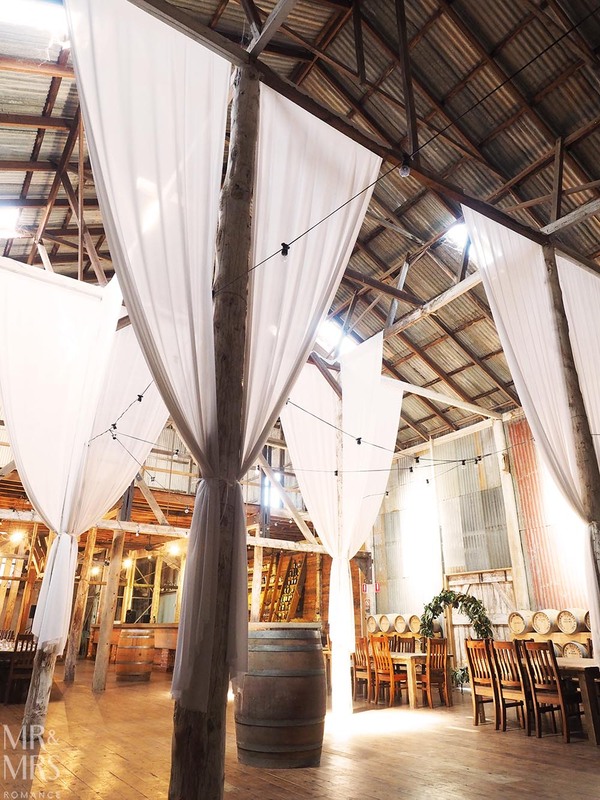 And since its purchase, owner Dean Druce and his head distiller Beau Schilg have transformed the ruined site of the Corowa flour mill into far more than its former glory. 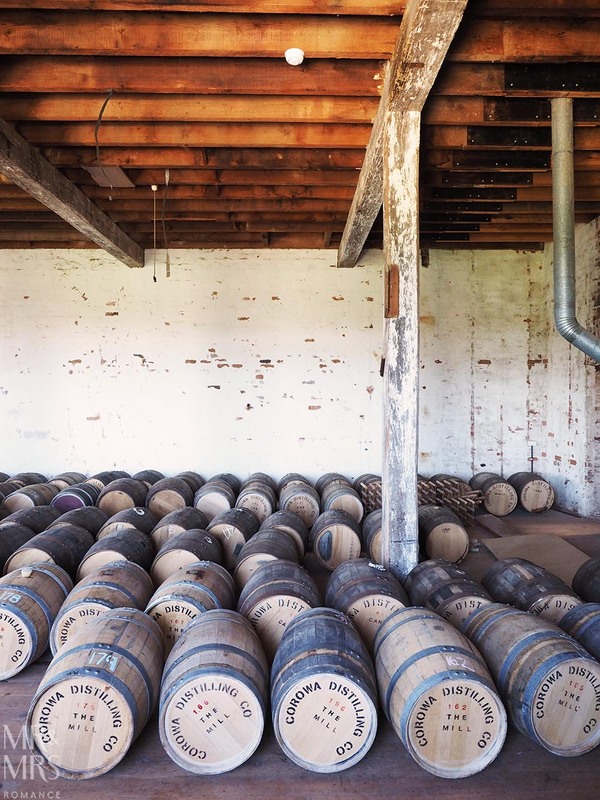 But even when the old mill had become the new distillery, the work was far from over. Before they could sell any whisky, the boys had to age everything they distilled. 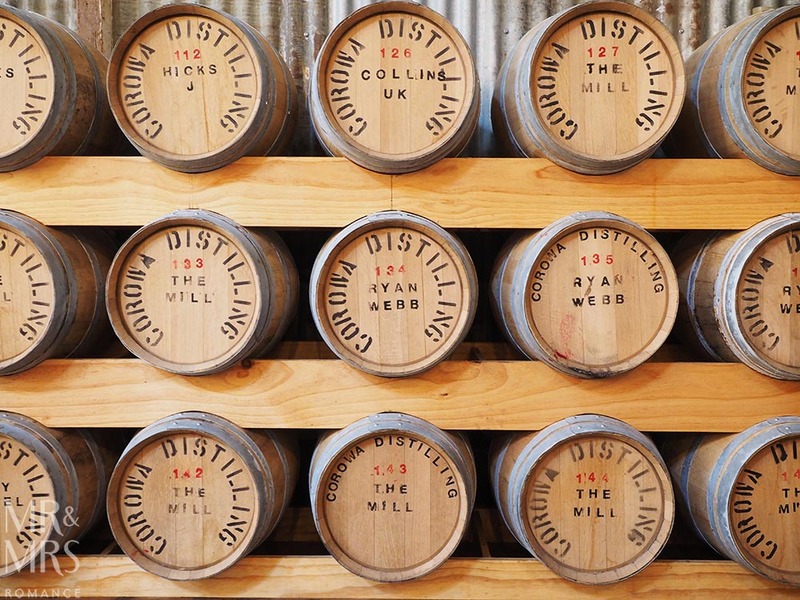 Like Australian brandy and rum, Australian whisky must be “stored in wood” for a minimum of 2 years. That means everything Corowa Distilling Co make has had to go into barrels for at least 2 years before anything else can happen. It’s frustrating for Dean and Beau, but it makes for an amazing sight for us! In the mezzanine are rows and rows of barrels full of maturing whisky. 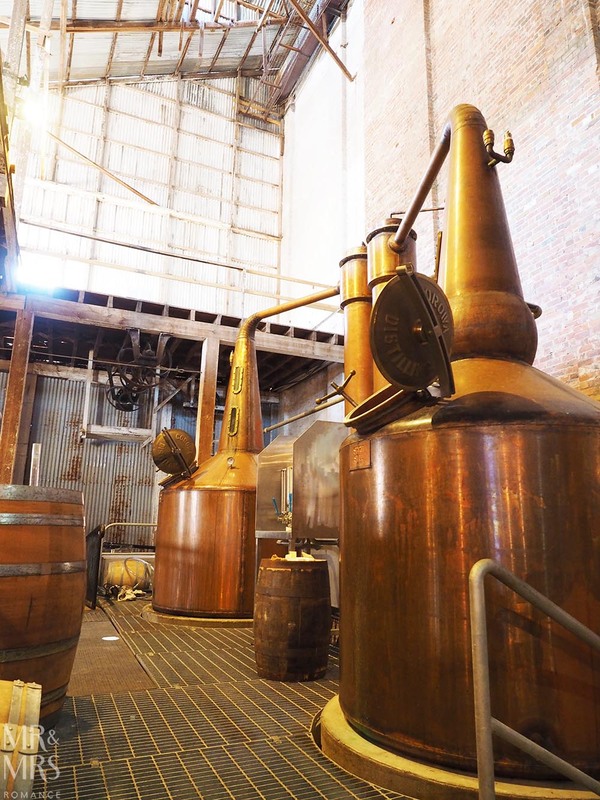 Downstairs, the twin copper pot stills gleam with promise and make a beautiful punctuation to the vast dining hall and bar. 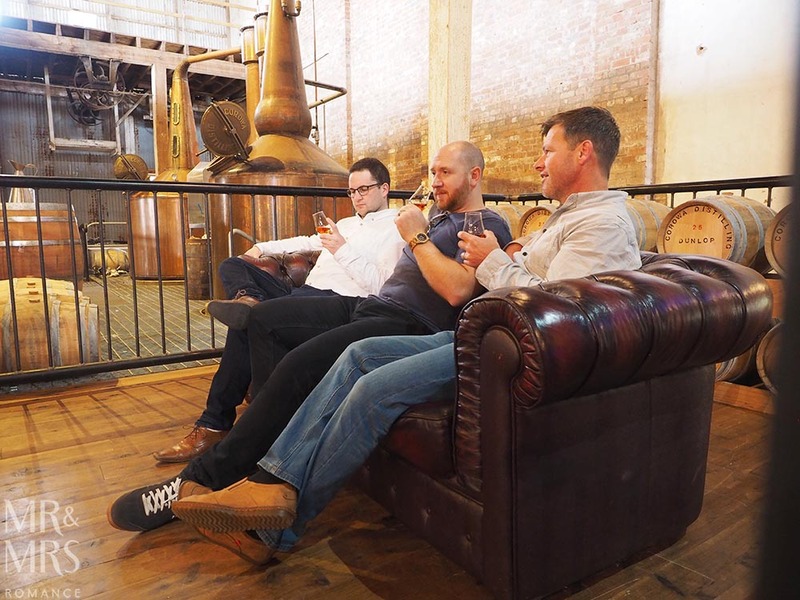 It’s here that myself, Ian and Josh sit with the rest of the party to celebrate the coming flow of beautiful whisky from this singular distillery. 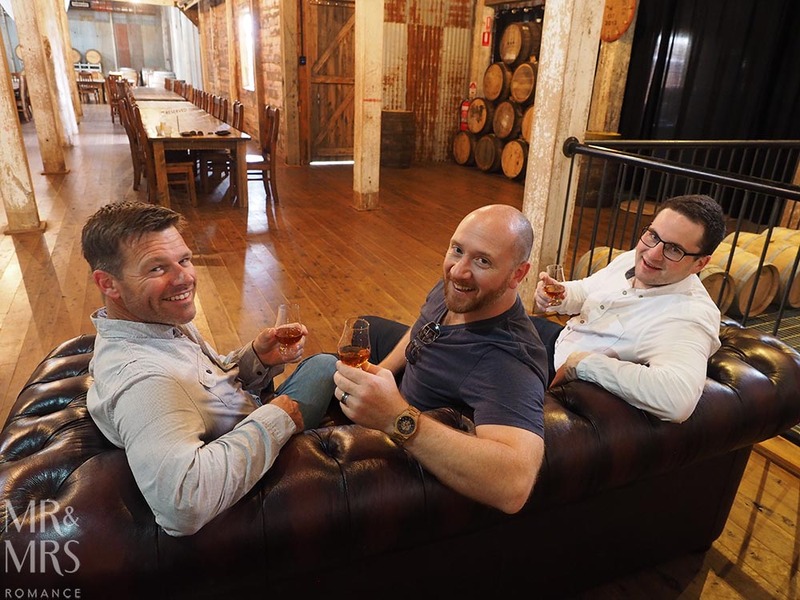 On top of restoring this unique piece of local heritage, crafting their distillery and making whisky, Dean and Beau have somehow found time to install a café and bring the Corowa Chocolate Factory to life on the premises. However they managed it, the organic Belgium style chocolates (and the not quite so Belgian giant freckles they make) are exquisite. The café offers delicious breakfast and lunch options, good coffee and even a selection of cakes. It’s good enough here to bring in locals and tourists every morning and afternoon to the point where it can be a battle for a table. 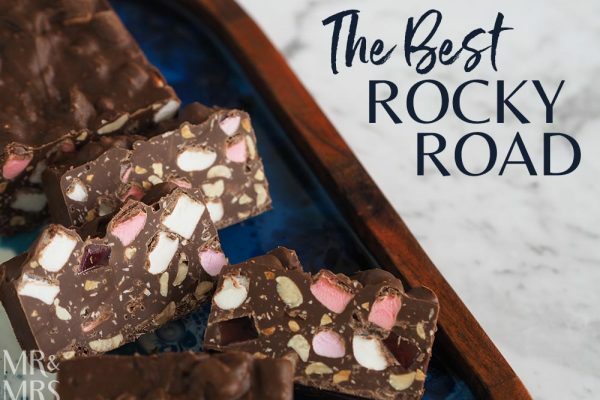 Good for: breakfast, lunch, coffee, chocolates and – of course – whisky! 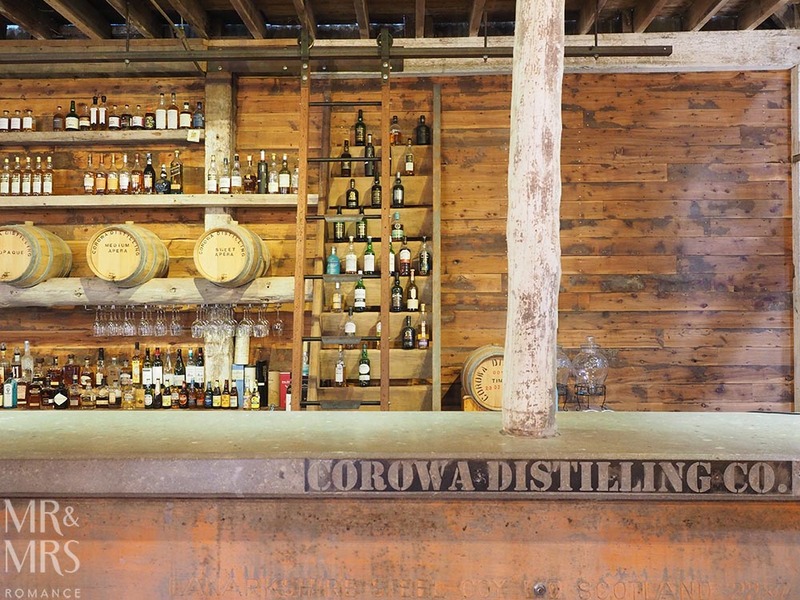 Shop Corowa Distilling Co’s whisky direct from their distributor here. The Scot – Who is Ian Glen? 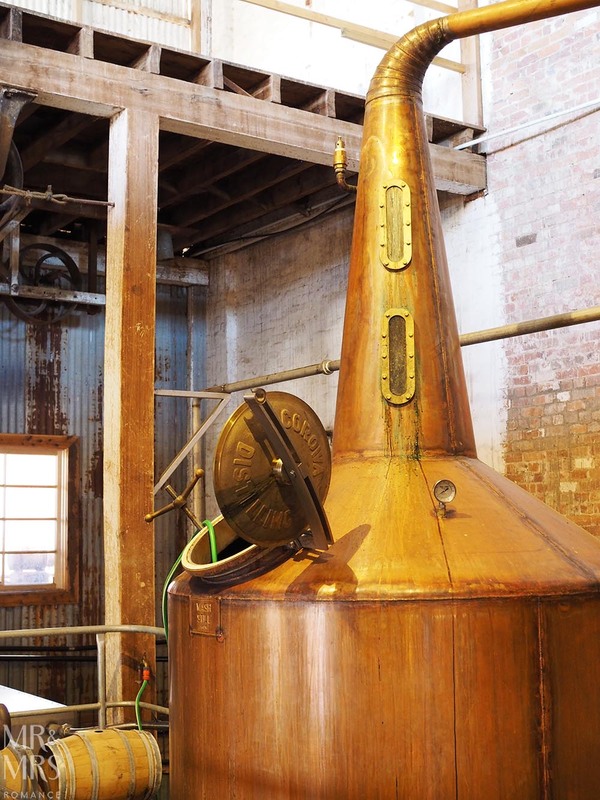 Ian is the owner-distiller of Stone Pine Distillery in Bathurst, NSW and if you’re looking for the most amazing Aussie gin and rum, you’ve come to the right place. He also makes a barrel-aged grappa that’ll make any Italian weep with joy. My current favourite gin – Stone Pine’s black truffle seasonal limited edition gin – is incredible. Ian’s managed to somehow capture that powerful umami of locally sourced black truffles in the gin. 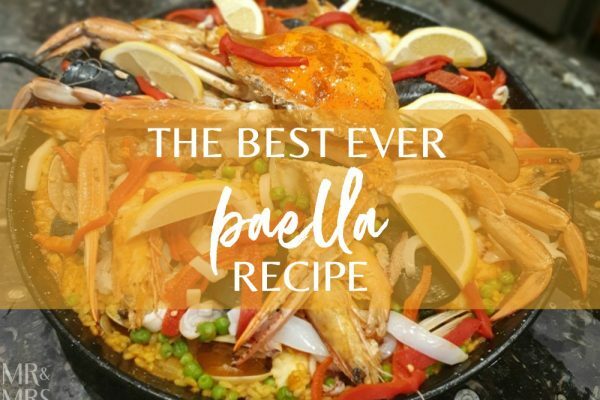 At the party in Corowa, he explained he had to include the truffles late on in the process as distilling them with the other botanicals just made the gin taste like mushrooms. The late addition of the truffles gives the gin a beautiful yellow-green glow. 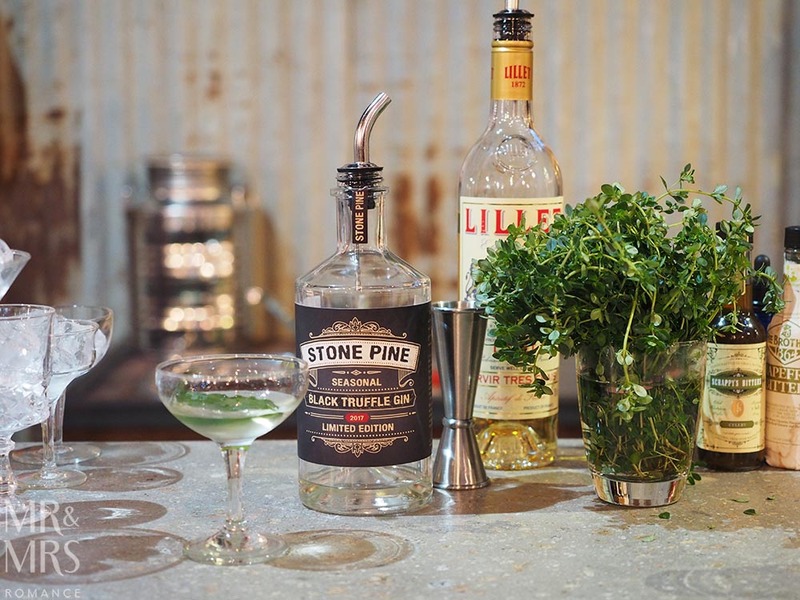 Shop Stone Pine gin, rum and black spiced rum here direct from the distributor Nip of Courage. 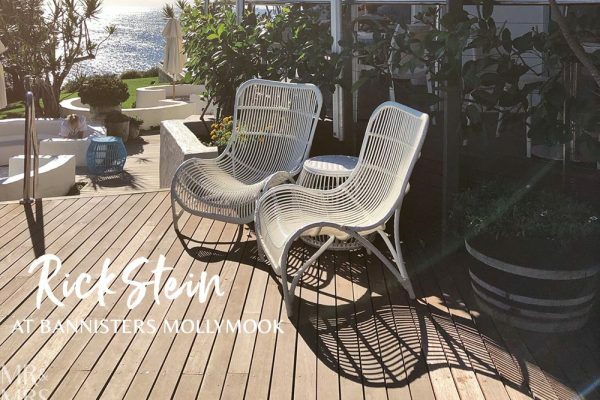 The Aussie – Who is Josh Walker? The Corowa party was the first time I met Josh, though – happily – not the first time I’d tasted his whisky. Head distiller at the Timboon Railway Shed Distillery in Timboon, southern Victoria, Josh makes a superb dram. His single malt Port Expression, which you can read more about here, is so very drinkable. But at the party, he showed us the Christie’s Cut. 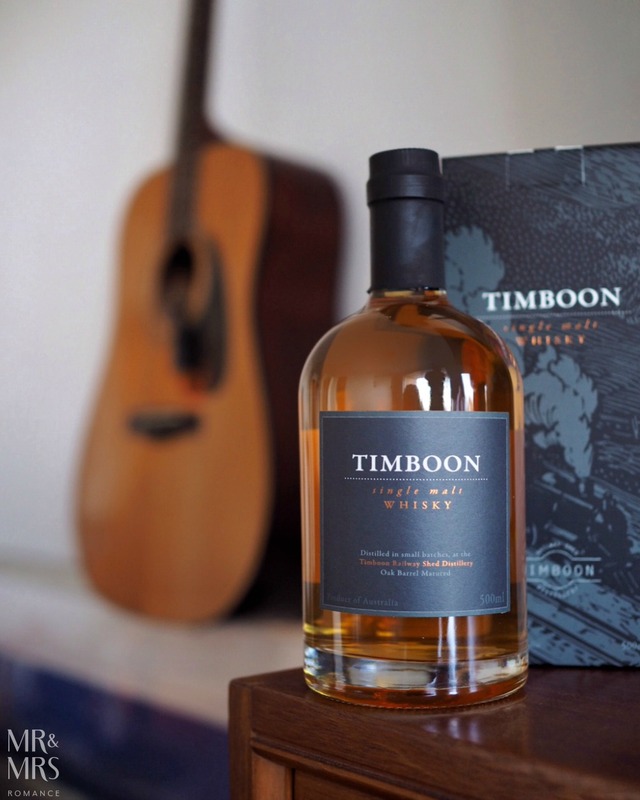 This is Timboon Distillery’s premium whisky and is named after John Christie, the famed police officer who undid the district’s last distiller Tom Delaney back in the 1890s. The Christie’s Cut is a whopper of a whisky coming out of the bottle at 60%ABV. But in spite of its potency, it’s still an easy drinker. Having had a tipple or two with Josh, I get the impression the Christie’s Cut is his kind of drink! Shop Timboon’s Port Expression or Christie’s Cut (or both) direct from the distributor Nip of Courage here. And what about this joke? With an opener like this one, I couldn’t resist having a go at finishing the joke. 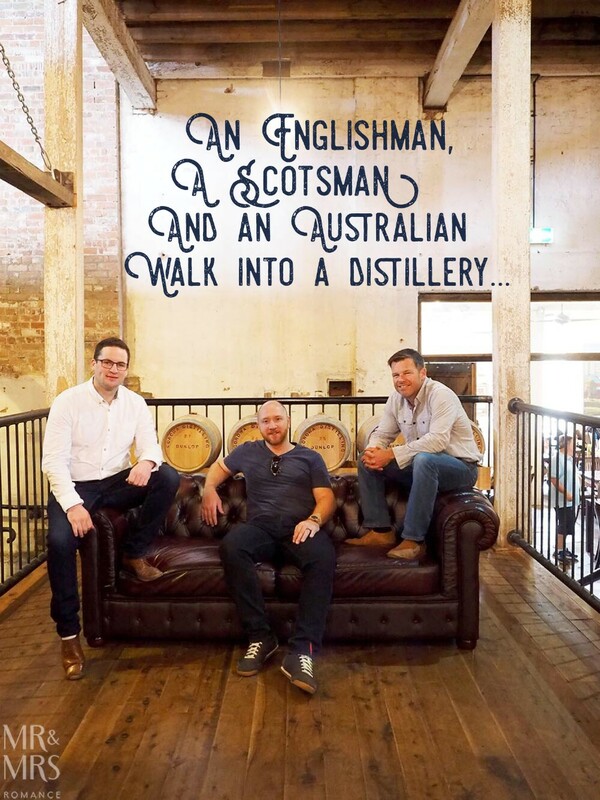 An Englishman, Scotsman and Australian walk into a distillery. At the door the distiller tells them they can each take one thing from the distillery. Straight away the Englishman leaps on the gin and takes the lot. The Scotsman sprints for the whisky and claims it as his. And walks away with the Ashes*. *Shame on the England cricket team for making me resort to this punchline. What an incredible place with such an interesting history! 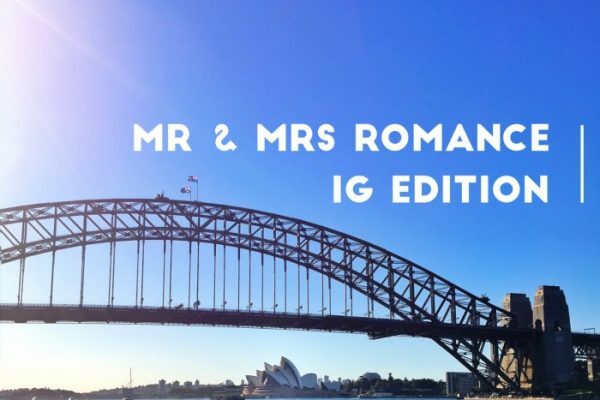 I still can’t believe they bought such a beautiful old place for $1 – what a bargain! Though I can’t even imagine how much hard work went into restoring it. Also – brilliant title and punchline. Love it! Hey Sonia. Yeah, it’s stunning, isn’t it? Great guys too. Can’t wait their whisky to come out. 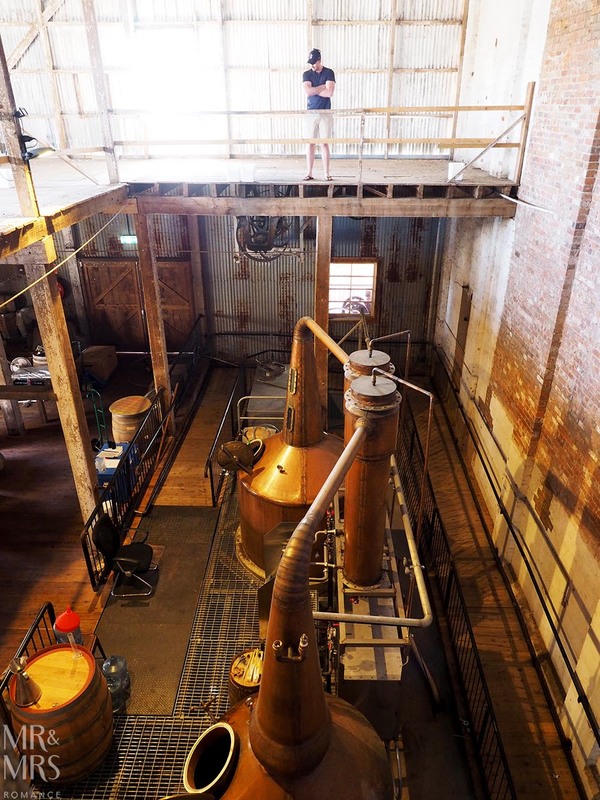 Really put the finishing touch on all the effort that’s gone into the distillery.